…for the first time. *grin* While it is unlikely that Darling Husband, Jim, is a career graduate per our Honore, September 30th marked the end of his 31+ year career with Delaware’s Department of Natural Resources and Environmental Control. 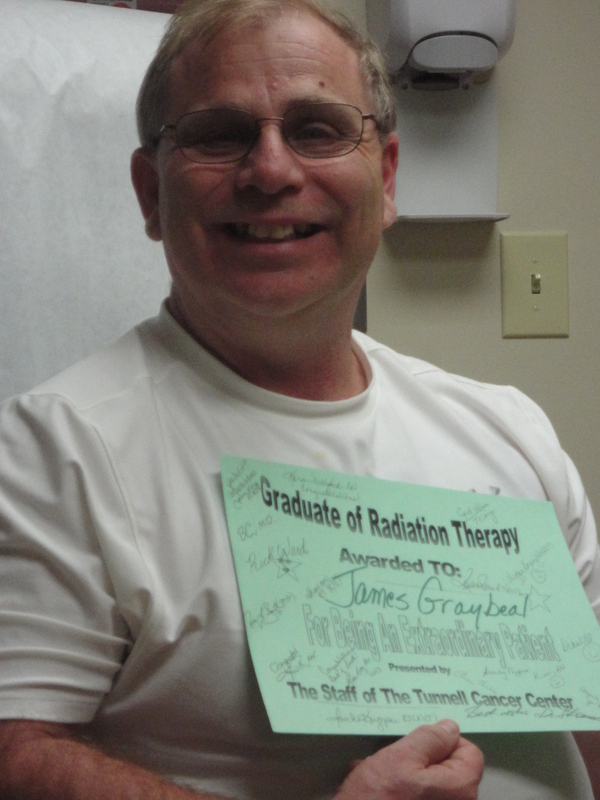 It also marked the last day of his radiation treatment! The entire day was (positively) surreal for all involved. What Jim knew: plans were set for Josh + I to come up and “retrieve the package” at 1p…no more State auto…and The Women Jim works with wanted to have an Open House with cake, etc. for all to say their goodbyes. What Jim didn’t know: Josh + I arrived at noon with our own cake…Kate and The Littles met us in the parking lot. Good call. He was so pleased…and those kids certainly eased Jim’s Saying Goodbye anxieties. To commemorate his last trip to Dover…a true thorn in his side that last 2-3 years…I nagged Jim to take a photo of his car on the morning of the 30th. So glad I did…this is a scrapbook page waiting to happen. Leaving Dover, Number One Son and I also accompanied our guy to his final radiation treatment. As the doc said, if any cancer cells remained post-surgery, we have kicked ’em while they were down! This is the kind of graduation I wish for anyone in the situation! 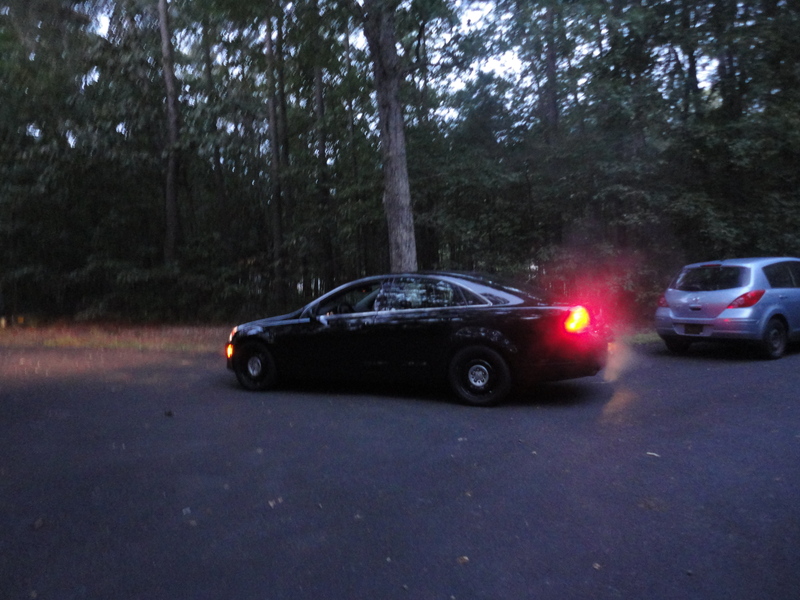 09 Oct	This entry was written by kmgraybeal and published on October 9, 2013 at 6:44 am. It’s filed under Uncategorized. Bookmark the permalink. Follow any comments here with the RSS feed for this post. The best kind of freedom, indeed! So glad to know that all’s well! Yay! And congrats to Jim on 31 years. Enjoy! As soon as I can write, I’ll send a card.